Welcome to the Libra NewMoon at Fall Equinox, my favorite time of the year. Despite the ambiguity of shorter days, colder nights, slower growth and atmospheric turbulence, what's not to love about the cusp between Summer and Fall? For a few weeks, the day and night hours are balanced, allowing us to find some peace amidst the radical extremes that lie behind and before us. Those who are regular readers of these ArkLetters have most likely been wondering what happened to me over the second half of summer. I have been poised here at the edge of the events horizon, circling with the current but refusing to go down the chute. I thought it was time to send out a ray of light to prove that I'm not lost to the world! In the interim, the book I've been brooding over so expectantly has sent up a blooming shoot, unveiled the bud and delivered itself of twin blossoms. By this I mean the manuscript I thought was finished in January has evolved by an entire order of magnitude under the able assistance of my copy editor extraordinaire, Angel Lozada. Like an orchid-master, his loving scissors and insightful training cosseted forth a most prodigious flowering. This has made me exceedingly grateful for the "pause that refreshes", and it gave me all the confidence in the world about going to press by the end of summer. Rather shockingly, however, at the cusp of the August NewMoon, the book burst its calyx and revealed that it is Janus-faced, with one face looking backwards and one face looking forwards. As a result, we are now re-designing it under two covers. This is not what I originally wanted; I have fought the idea of splitting it into halves since the first time the concept came up, when Michael and I were sending the THL deck to be printed in June of 2011. This shows how long I've been resolutely fending this idea off, no matter who brought it up or why. As the writer, I have wanted the text for the THL book to be tied at the hip to the theoretical chapters that illuminate it. It has pained me in the extreme to think that people who were holding the book on the 78 cards of the THL would be missing the companion chapters on how it came to be what it is! But frankly, once the page-count pushed over 800 pages (just one more illustration, another graph, a bit more explanation to be sure everybody's on board), it was time for me to come out of denial and realize that I am the obstacle. This has been good and it has been bad; either way, it has been me all along that is standing in the way of this manuscript going to press. The two volumes have come apart cleanly, despite their intense interrelationship, so I have stopped resisting the inevitable. As soon as I gave in to the idea of separating my Siamese twins, allowing each one to appear under a separate cover and title, the aspect going forward seems to be clearing up, allowing things to flow again. 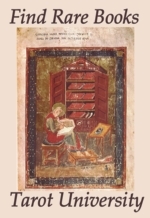 These challenges, plus the contingencies of physical publication (including the state of the modern technology available for do-it-yourselfers), have conspired to push us towards print-on-demand for these volumes. This is actually more wieldy than having it produced by an offset press, it turns out. 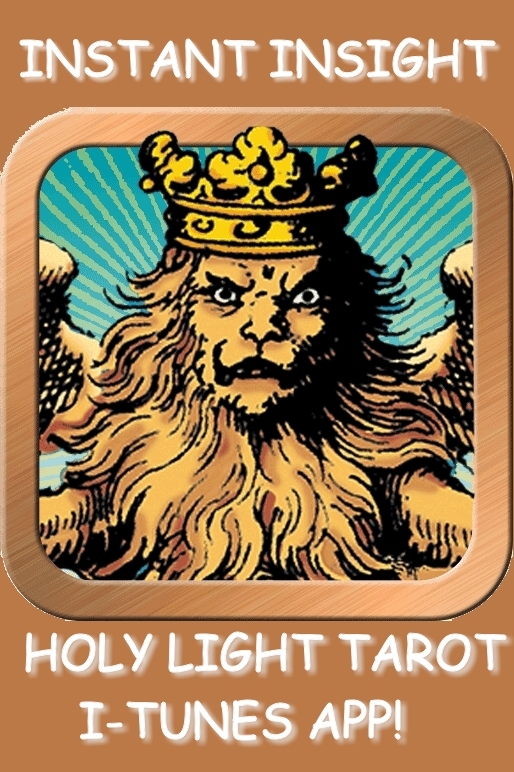 These are the volumes that will soon be appearing: The Tarot of the Holy Light; a Continental Esoteric Tarot, and its twin, Foundations of the Esoteric Tradition. I'm sure everybody can guess what the first book will cover, and I hope it will be as well-received as the deck has been. The Foundations volume details the torrent of esoteric tradition that pours into the Tarot outline just as soon as the Trumps received numbers on their faces. Jacob Boehme stands forth as my historical transmitter of Tradition, since his sophisticated theosophical construction is recognized as a peak of magical esotericism, an accomplishment that went on to inform the Rosicrucians, Masons and Martinists for centuries thereafter. From the 1600's to the late 1800's, esoteric associations with the Tarot were primarily centered on the Marseille-style packs, which became the universal model for Tarot as a genre. The memory of this tradition is is clearly preserved "between the lines" in the support materials for the Etteilla packs, and in the enigmatic double numbering system he supplied for his Trumps. Etteilla's work leads directly into the century of Tarot Belline, Paul Christian, Eliphas Levi, Paul Christian and the rest of the Continental Tarot apologists of the 1800's and early 1900's (culminating with Oswald Wirth). This volume is my contribution to the deep history of Tarot, shining light into a stage of Tarot's development that has remained opaque for far too long. Now the show can go on! Both books will soon be appearing at a print-on-demand location near you, and I will be letting everybody know when that happy day arises. If you are reading this ArkLetter without being on our subscription list, please consider subscribing, or send me an e-mail at christine@tarotuniversity.com, and I will make sure you are notified when the book is available to buy. The first event is the Northwest Astrology and Tarot Salon, which is happening this coming November 10 - 13 at Breitenbush Hot Springs outside of Detroit, Oregon. Information about this event can be found at www.nwsalon.com. This is the event to attend if you enjoy a relaxed, natural environment with plenty of hang-time, including non-conference activities like hiking, massage and hot tubbing. The stunning setting, nestled in the western slopes of Oregon's Cascade Mountains, provides visual feasts that will inspire our thoughts and conversations. Participants will get to meet, study with and have readings from a range of practitioners, some of whom have served the Pacific Northwest "metapysical scene" for decades already. This is not a giant venue so it is best to enroll soon, to ensure your choice of accomodations. The second event is the Northwest Tarot Symposium (NW Tarot Symposium), which will be happening March 6 - 8 at the Monarch Hotel in Portland, OR. You can find out all about this conference athttp://nwtarotsymposium.com/ This is the event to attend if you have ever wanted to check out Oregon's only true megopolis, with its many bridges, famous gardens, signature brewries and restaurants, and of course the ultimate mecca of bibliophiles, Powell's City of Books. People from out of state will get a chance to experience a slice of Oregon's fabulous extended spring season, which actually starts in late winter and continues right through to early summer. Whether it rains or shines on that weekend, Portland is truly Oregon's Emerald City, of which the state is justly proud. Come and experience your own slice of Portlandia, in the company of your favorite Tarot writers, readers and creators! In the meantime, I send the blessings of Holy Light to all! May your dearest dreams come true during the incoming Fall, with the help of the two Eclipses we will be enjoying this month.